Jan Kippax faces professional sanctions after several patients accused him of failing to provide pain relief, pulling teeth after they had asked him to stop and other allegations. 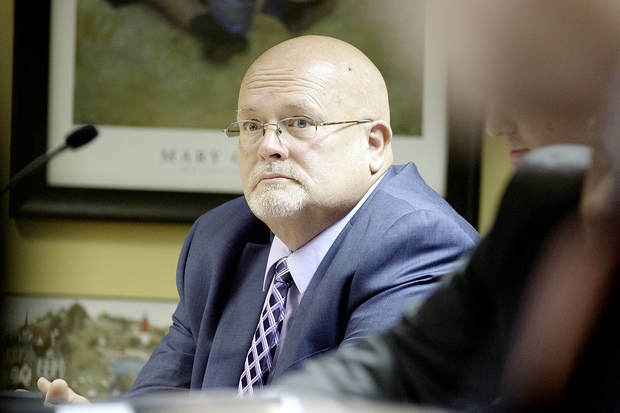 AUGUSTA — The state board weighing the professional future of Lewiston oral surgeon Jan Kippax will consider a motion from his attorney Friday to dismiss the claims. James Belleau of Auburn will argue that the state relied on patient accounts and failed to provide expert testimony that supports its bid to sanction Kippax. The Maine Board of Dental Practice has the authority to fine Kippax, censure him or revoke his license. Five members of the dental board heard from former patients who said Kippax failed to provide pain relief, refused to stop yanking teeth despite their pleas and other claims. But the one expert witness called by the state – Alexander Pazoki, director of the division of oral and maxillofacial surgery and dentistry at The Johns Hopkins Hospital in Baltimore – would not say Kippax violated the standards of care required of an oral surgeon. Pazoki initially relied on the complaints and dental records to reach a preliminary conclusion that Kippax had violated professional standards. But after adding testimony of Kippax and two of his assistants, Pazoki reached a different conclusion, that it wasn’t possible to say Kippax violated professional standards. The board began investigating the five cases in early 2016 and suspended Kippax for 30 days in February, the longest it could impose before a hearing. Kippax has been free to practice since the suspension ran out in March, but said he has had trouble getting patients in the wake of the charges against him. In other states, testimony of an expert witness is needed to show a medical professional violated standards of conduct. More than a decade ago in South Dakota, a professional standards board suspended an eye doctor’s license because he falsified patients’ records. Dr. John Huff appealed the decision, which concluded he was “dishonorable, unethical and unprofessional,” hoping a court would overturn it. His case led to a ruling that legal experts said may hold true in Kippax’s case. The notion that “competent expert testimony must be introduced” to show a medical professional violated the standards of conduct in their field is at the root of a Belleau’s motion to dismiss the case against Kippax. Belleau said the state fell short of what it needed to move forward with the case. State lawyers disagreed, but the board took the motion seriously enough to halt the proceedings until members could discuss it. In Maine, a licensed professional “is considered to have engaged in unprofessional conduct” if he or she “violates a standard of professional behavior” established in that field. The dental board hearing the Kippax case includes two dentists but no oral surgeons. Belleau said that without an oral surgeons, the board had nobody who could attest to the standards of care required of one. The case is slated to continue on Dec. 29 and 30.